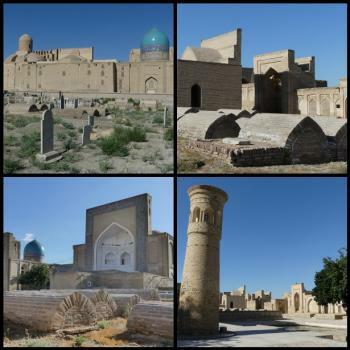 Chor-Bakr is part of the Tentative list of Uzbekistan in order to qualify for inclusion in the World Heritage List. I visited this tentative WHS in June 2017. It is in the outskirts of Bukhara and is practically the 'poorer' equivalent of the inscribed Shahi-Zinda Necropolis in Samarkand. Nonetheless, it would be a very valid extension to Bukhara in my opinion (instead of a separate inscription). Again there is a plaque wrongly stating that this site is already inscribed as a UNESCO WHS.